Card holders review and submit their p-card transactions in Skyward. Supervisors must review the activity prior to the data being batched for Accounts Payable. In the Financial Management system, click Accounts Payable. Under Credit Cards, click Approve Transactions. When a transaction is highlighted, the Attach button will have two *s (**) if there is an attachment. 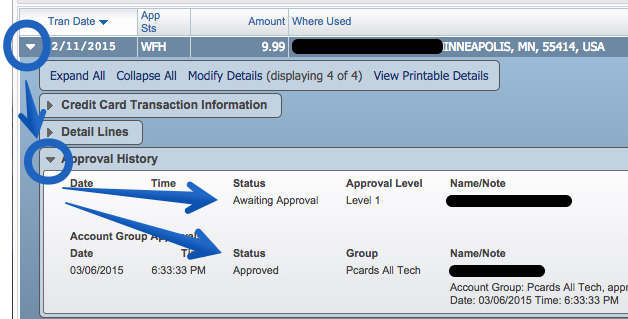 Once a transaction has been reviewed, check the box in the Approve column. If the description needs more detail or receipts weren’t attached, click the box in the Deny column. Once all transactions have been reviewed, click the Submit Approvals and Denials button.